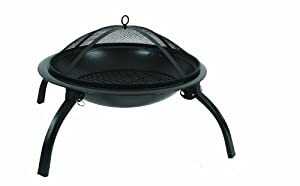 Garden incinerators & Fire Pits are proud to offer the fantastic Galleon Fireplaces Round 57cm Folding Bbq Outdoor Firepit Foldable Garden Patio Fire Pit Heater Including Carry Bag And Pocker. With so many on offer these days, it is good to have a make you can trust. 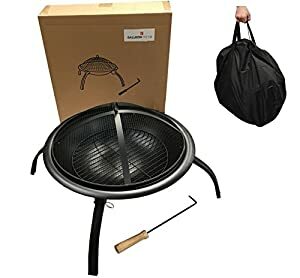 The Galleon Fireplaces Round 57cm Folding Bbq Outdoor Firepit Foldable Garden Patio Fire Pit Heater Including Carry Bag And Pocker is certainly that and will be a excellent buy. 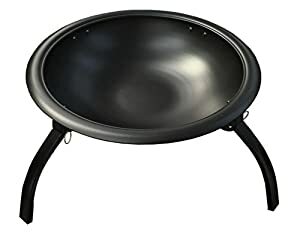 For this reduced price, the Galleon Fireplaces Round 57cm Folding Bbq Outdoor Firepit Foldable Garden Patio Fire Pit Heater Including Carry Bag And Pocker is highly recommended and is always a regular choice with many people. GalleonFireplaces have included some excellent touches and this means great value for money. Enamel coated metal bowl Including Poker and Rain Cover Heat proof painted finish. H27-40 (top of fire pit to top of mesh cover) Dia. 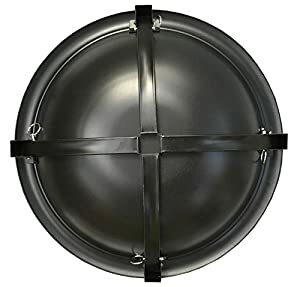 57cm Weight: 3.5kg Easy assembly Thoughtfully designed, the fire pit's four sturdy legs securely attach to the fire bowl-no tools required. The user-friendly, fool-proof components make it easy to assemble the fire pit in minutes. 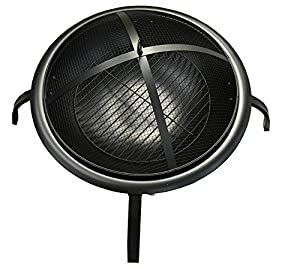 Fire screen The included dome-shaped, heat-resistant mesh fire screen fits over the top of the fire bowl, offering an enjoyable view of the fire while simultaneously keeping unruly sparks safely contained. 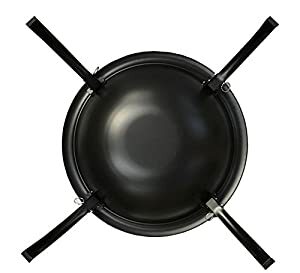 A loop handle allows for easy placement and removal of the screen; to keep hands a safe distance from the heat, using the included fire tool to remove the fire screen is recommended. Folding design - Once the legs are securely attached to the base, their slightly curved shape offers exceptional stability on any terrain, whether it's grass, sand, dirt, or pavement. Best of all the legs fold compactly underneath for convenient portability. 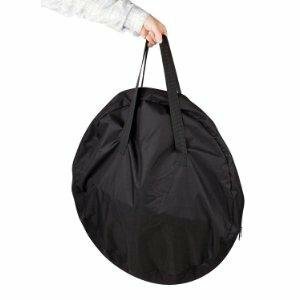 Carrying bag comes included for easily transporting the fire pit from one location to another. Durable zippers and two loop handles offer exceptional ease of use. Once at the desired destination, simply remove the fire pit, unfold the legs, and it's ready for you and your friends to put those fire-building skills into action.